Cameco Corporation operates globally, producing uranium and nuclear fuel products for the generation of clean, safe and reliable electricity. Cameco is one of the world’s largest providers of the uranium needed to generate clean, reliable baseload electricity around the globe. Our tier-one operations in Canada and Kazakhstan have the licensed capacity to produce more than 53 million pounds (100% basis) each year. That’s backed by about 458 million pounds of proven and probable reserves and extensive resources on three continents. We hold premier land positions in the world's most promising areas for new uranium discoveries in Canada and Australia. 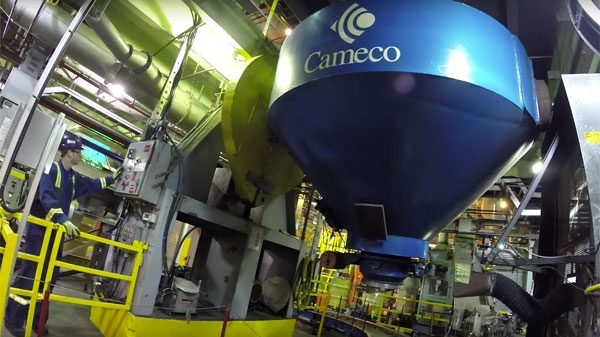 Cameco's fuel services division, based in Ontario, Canada, is also a leading provider of processing services required to produce fuel for nuclear power plants. We recognize the importance of sharing timely, local information about our operations, community investments and the opportunities Cameco can provide, with our neighbours around the world. To learn more, visit one our our community websites below. Cameco is a major supplier of uranium processing services required to produce fuel for the generation of clean electricity. Our fuel services division has three locations in Ontario: a refinery in Blind River, a conversion facility in Port Hope, and a fuel manufacturing operation with locations in Port Hope and Cobourg. We're proud to call northern Saskatchewan the home of our largest operations, including our newest mine, Cigar Lake. We are Canada's largest employer of Aboriginal people and our experts help Cameco maintain safe operations and protect the environment. Cameco Resources' mines in Wyoming and Nebraska use an environmentally friendly in situ recovery mining process where uranium is extracted from wellfields, rather than open pits or underground shafts.